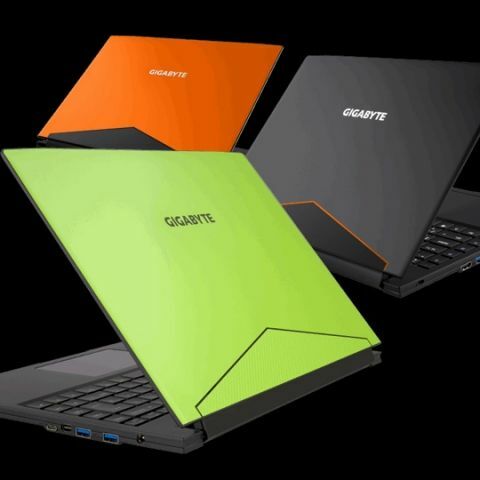 At Computex 2018, Gigabyte Technology, the international computer hardware manufacturer headquartered in Taipei, is showcasing the best of its lineup of business, gaming and performance offerings. They have even collaborated with a few local software platform providers to effectively demonstrate the capabilities of their business hardware and its applications for the AI/data analysis hybrid cloud and more. It is to demonstrate these lineups that the collaboration with local software platform providers has been made. The objective is to make customers understand how they can build their own private cloud and use AI capabilities for big data in real time and more. On the gaming side of things, you might spot a Gigabyte wall of motherboards or even run into a room showing off the latest in AORUS hardware and technology. To find these, you need to head to the Gigabyte gaming corner that has 3 dedicated setups for enthusiasts. A complete AORUS PC system synced by RGB Fusion featuring the latest B360 AORUS Gaming 3 WIFI platform, the newly-introduced memory, and gaming peripherals built specifically for online competitive gaming. The Aero 14X laptop paired with the eGPU solution, the GTX 1080 Gaming Box. A triple-monitor racing simulator setup on another complete AORUS gaming rig powered by a Z370 AORUS Gaming 7-OP platform. Expect to see more AORUS hardware along with the slim performance laptop AERO in its latest iteration, the AERO 15X, targeted at professional fields such as 3D model rendering or media editing. According to Gigabyte, The AERO 15X comes with the world’s first full HD 144Hz IPS Panel. To learn more about GIGABYTE’s products and experience the technologies on display, please visit its booth in the Taipei World Trade Center Hall 1, Booth D0002 during June 5th – June 9th.